Pothole dangers: should drivers be taught how to avoid potholes? Home › Advice › Pothole dangers: should drivers be taught how to avoid potholes? Potholes cause hundreds of thousands of dollars of damage to vehicle wheels every year. 276 people made requests for compensation to Auckland Transport in 2017. In the USA, potholes cause over US$3 billion of damage per year. Potholes can form very quickly in wet weather or where there are repeated frosts and thaws. 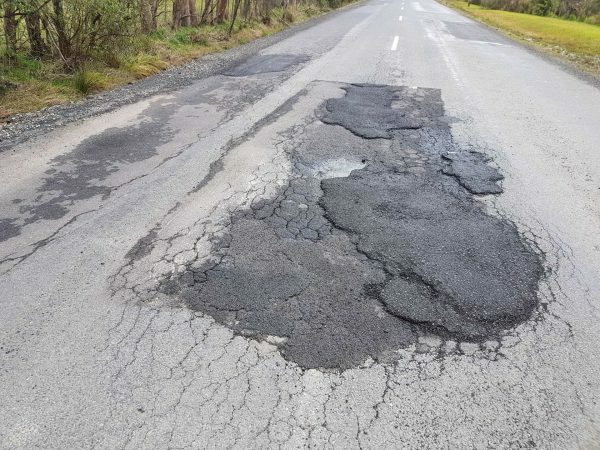 In fact, they can form in just a few hours and, once a pothole is formed, it can grow rapidly if the road has heavy traffic due to the weight of the traffic crushing the edges of the pothole, further weakening its structure. How can you reduce the damage from potholes? What should you do if you’ve hit a pothole? If you hit it hard, get out and check your wheel. A small dent or bend in your wheel will increase the chances of the tyre not remaining on the rim, especially when it’s under stress going around a corner. It could have also over-stressed the tyre’s sidewall leaving nit more susceptible to being punctured. If you feel a vibration through the steering wheel you may have damaged the wheel rim. If the vehicle now pulls to one side, the impact has adjusted the wheel alignment; this needs to be fixed otherwise you will wear your tyres out much more quickly. If the vehicle feels different when going over bumps, you may have damaged the suspension, too. This can happen, especially if you heard a loud bump. Should learner drivers be taught to identify potholes? As part of scanning the road ahead, learner drivers should be taught to identify potholes and other potentially damaging defects in the road surface. There’s no specific sign to warn of potholes. Your local roads authority may have a way of reporting potholes. For example, Auckland Transport has an online form here, or you can use a service like Fix My Street who will report it to your local council automatically. Underneath the asphalt is a layer of material that is compressed by road rollers while the road is being made, but it’s not able to be compressed totally uniformly. Water enters through cracks and gradually erodes it. The asphalt sinks and forms cracks which further weaken the surface and eventually chunks become loose which begins the pothole. Also, water under the road surface can freeze and thaw, creating further weakness as the ice causes expansion while the thaw causes contraction. In short, it’s very difficult to make a road surface which is immune from this type of degradation when heavy vehicles are passing over it, but self-healing asphalt has been developed which could reduce the cost of road maintenance. 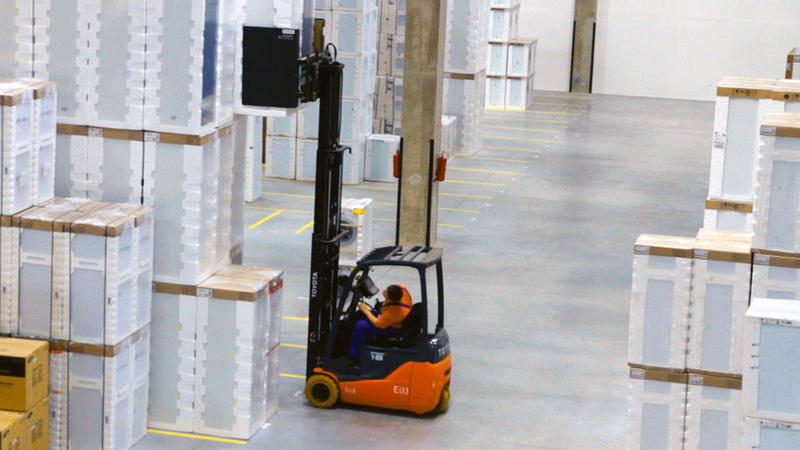 ‹ What 10 questions should you ask your forklift attachment provider?